Urban planning exists to serve people and communities, not the other way around. Unfortunately, urban planners these days, perhaps under the influence of academic arrogance as well as the lure of developer dollars, seem to forget this simple truism. A particularly invidious form of planning orthodoxy involves certain adherents of so-called “new urbanism,” which looks at density, more density and only density as the hallmark of the (for them) only acceptable form of urban living. Without considering that people of all colors, stripes and ethnicities might like to have gardens, these urban planning densifiers support policies whose main aims are to eliminate low-density housing, without regard to preservation of the integrity of communities or without acknowledging that community character means anything. While new urbanist Yimbys make claims that low-density housing is immoral for numerous reasons, many social justice groups and environmental groups take issue with policies they aggressively (and sometimes obnoxiously) push, such as California state senator Scott Wiener’s SB827, which would have used public transportation as an alibi to allow developers to densify cities by pre-empting municipalities’ general plans. Some of the most strident pro-density new urbanists and Yimbys are militant about their own personal right of self-definition, as they well should be. Whether it is a matter of how one defines “family,” LGBTQ rights, religious beliefs, ethnicity or any other seemingly trivial or crucial personal characteristic that helps people to define themselves, the right of self-definition is paramount when it comes to people’s abilities to unfold their own unique potential and to live a fulfilled life. So is it with communities. But such self-definition for individuals and communities demands respect and tolerance, two qualities seemingly in short supply with the Yimbys and academic master planners. Cities in many ways are like human beings themselves. Communities made up of living, breathing humans need the same right of self-definition as individuals. Like people, communities have their own unique character, their own DNA, their own aspirations which arise from the individuals who make them up. Urban humanism, in direct opposition to new urbanist Yimbyism’s cult-like intolerance, respects that communities are made up of dynamic people and that one-size-fits-all mandates aren’t suitable for them any more than imposing a single definition of “family” would be for the individuals that make up these communities. Density fetishism itself negates the notion that while ultra-dense urban living may be a lifestyle choice for some individuals (a choice which might, incidentally, change as people get older), so is the desire to live within a human-scale, low-rise community. Both choices are legitimate, as is everything else in between. Yet in their unflinching dogmatism, new urbanist Yimbys seem unwilling to dispense the kind of tolerance they take for granted when it comes to many of their own personal lifestyles. The unwillingness to recognize and respect the uniqueness of communities can have a similar effect as the unwillingness to recognize and respect the uniqueness of individual people. 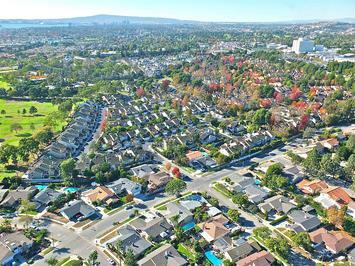 The new urbanist de-humanizing view towards cities and communities often tends to repeat the misguided narrative that cities themselves are to blame for the housing crisis in California. While CEQA needs to be fixed to ensure that cities don’t act irresponsibly, the Yimby blame-game towards cities doesn’t take into account Sacramento’s role in pushing cities to prioritize commercial development above housing, including abolishing re-development agencies. New urbanist Yimbys would rather blame cities than look at the issue of income inequality or the role corporations play in having created the housing crisis. Tech CEO’s brag about their “insane margins,” and the Yimbys just harrumph and glibly move on to their next pro-density rant. Perhaps this shouldn’t be so surprising, considering that the Astro-Turf Yimby groups are largely funded by Silicon Valley tech billionaires, including Trump-buddy Peter Thiel. Urban humanism, in direct contrast to new urbanist Yimbism, understands that corporations are not people and that money is not speech. Urban humanism, which favors a bottom-up approach as opposed to the top-down approach favored by new urbanist Yimbys, puts communities over corporations, people over profits and does not try to make political hay out of housing policy. Strangely enough, the new urbanist Yimbys fail to see the contradictions resulting from their ideological alignment with corporate interests. Self-defined “progressive” Democrats find themselves spouting the Reaganomic trickle-down theories of Laffer and Mundell, as well as defining “property rights” in a way which, glossing over income inequality, would make hardliner objectivists nod their heads in agreement. Instead, they choose to focus on what they perceive to be the insuperable inconsistencies of those who oppose their corporatist agenda. One alliance is driven by the profit motive while the other is driven by elective affinities and empathy. Communities have the capacity to understand each other at the most basic level because of the underlying human element which is at their core. It is the capacity for empathy at its most elemental: if I have a child whom I love, I should be better able to comprehend and internalize the depth of feeling of others for their own children and to bond with them because of it. Every member of every community cares deeply about where they live and work. Whether you live in Echo Park or Beverly Hills, in Chatsworth or Wilmington, your community is your community. Businesses, residents, and other stakeholders fight to maintain a community’s values—and its value. That doesn’t make them NIMBYs; it makes them the responsible citizen stakeholders who make a city what it is. With all the Big Money behind their attempts at urban Gleichschaltung, the Yimbys have shown urban humanists and communitarians the pressing need to change the calculus of how policy gets set in Sacramento. With all the Big Money pushing for policies which would place profiteering over people, it’s clear we need a state government based upon the principles of subsidiarity, regional cooperation and de-centralized self-government that has the capacity to put communities over corporations. The dual goals of livability and sustainability can best be achieved by letting communities try to develop into the best versions of themselves, as decided upon by the residents. And this means respecting the individuality of communities, instead of the Bến Tre school of urban planning, espoused by the new urbanist Yimbys who would impose their rigorous versions of density upon communities throughout the state. Far from “destroying communities to save them,” we need to allow communities to adapt even better to the ever-changing world, while empowering them to maintain the characters which make them unique. In a world of corporate profiteering über alles, in a world in which the academic elite thinks it should be able to dictate how people live, the time has come within urban planning to stop treating human beings like widgets, stats or marks. Urban humanism, a humanistic approach to urban planning and urban policy is an idea whose time has come. Now more than ever, it’s time to put people first. Communitarians of California, unite! You have nothing to lose but Sacramento overreach. Photo: Via Coldwell Banker Coastal Alliance.